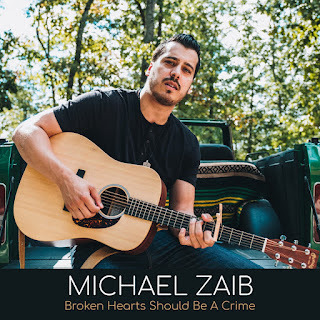 NEW SINGLE: "Broken Hearts Should Be A Crime"
With a voice that evokes the smoothness of Chris Stapleton and the soul of Otis Redding, Michael Zaib blends country, folk, and soul into a new country sound that grips. Born in Shreveport, Louisiana and raised just north of Atlanta, Georgia, the singer-songwriter has been quietly roaring for years off America’s “Main Streets and Byways,” the name of his highly-anticipated studio album dropping 2019. A tale of love, family, and the roads of independent music, this five-song collection packs stories, hard truths, and powerful vocals into an intimate listening experience. This up-coming album is an invitation of sorts to join a singer-songwriter in the passenger seat of an empty car, where for a long time he has been “Traveling Alone,” the Jason Isbell song he covers on his album alongside four of his latest country originals.